The recovery effort for the PRISM leak carries on as various members of the U.S. Government and National Security Agency continue attempts at justifying the program to Congress and the public. NSA director Keith Alexander told a senate committee on Wednesday that government surveillance programs have facilitated the prevention of ‘dozens’ of terrorist attacks, reports NBC News. Alexander pointed out that most instances of foiled terror plots relied upon multiple sources that complement each other, emphasizing the need for the various surveillance programs that have surfaced recently, such as the Verizon metadata collection. To lend legitimacy to government surveillance programs, the Obama administration on Tuesday made a statement crediting PRISM with preventing Najibullah Zazi's 2009 New York City subway bombing plot. 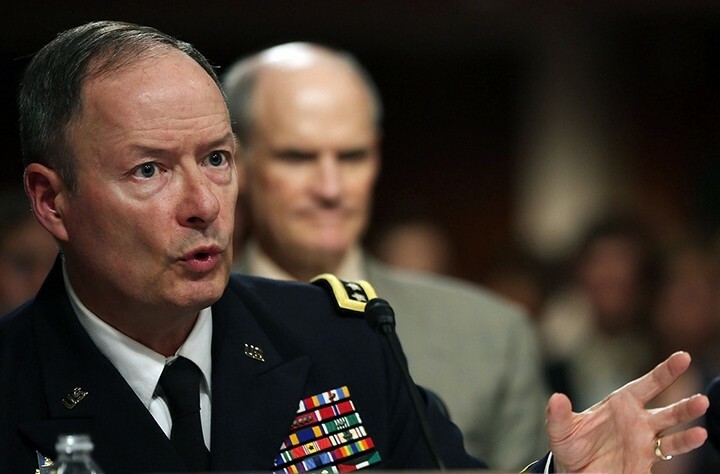 Alexander said that the NSA hopes to release an exact number of prevented attacks sometime next week. Alexander defended the NSA’s actions and his employees in his opening statements before the Senate committee. "They do this lawfully," he said. "They take compliance oversight, protecting civil liberties and privacy and the security of this nation to their heart every day. I could not be more proud of the men and women of NSA and Cyber Command." Meanwhile, public reaction to government surveillance programs is mixed, with polls from Gallup and the Pew Research Center showing different results. 53 percent of people surveyed told Gallup they disagree with government efforts to “compile telephone call logs and Internet communications,” while 37 percent approved. The Pew poll found that 56 percent of people say that NSA tracking programs are acceptable, while 41 percent disapproved. Beyond the programs themselves is the controversy raised by Edward Snowden leaking classified information. Some are calling him a traitor, and others a hero. Time released a poll today in which 54 percent of respondents indicated that it was a “good thing” that Snowden leaked the information.